We were thrilled to be invited to work with Hackney Playbus and in collaboration with artist Anna Van derPoorten to source inspirational images from local children for the outside design of the new Playbus. 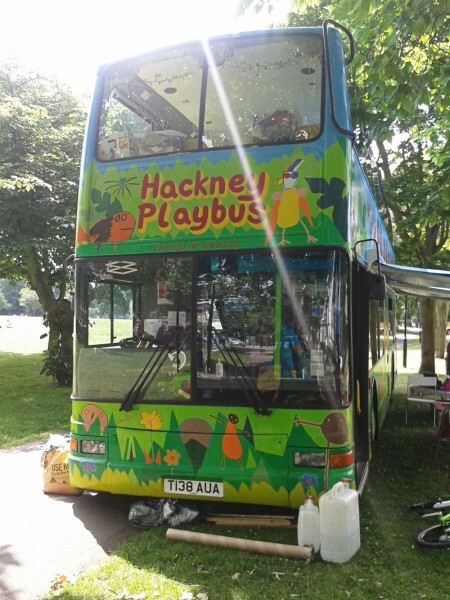 Hackney Playbus brilliantly raised the funds to purchase a new double decker bus for their family activities. 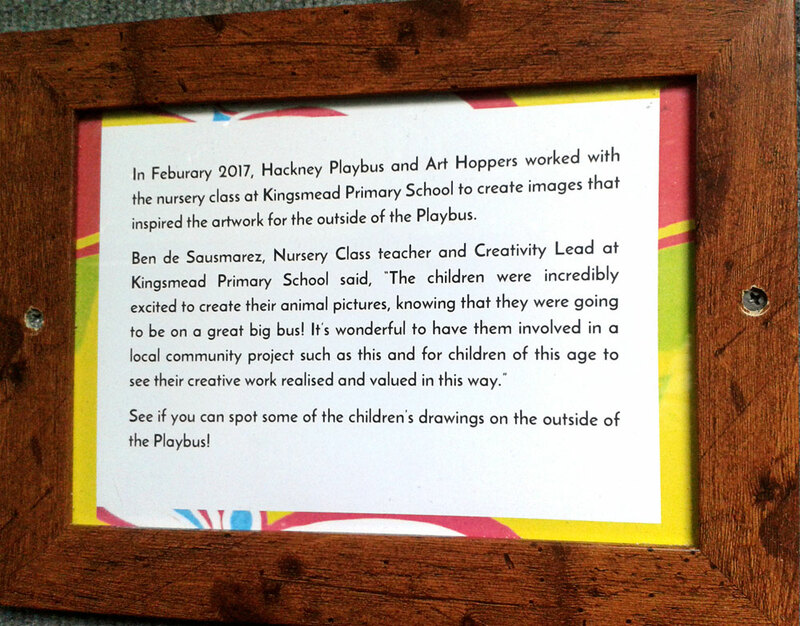 Early in 2017, we were contacted by the charity to help them in working with nursery children from Kingsmead Community Primary School in Hackney. 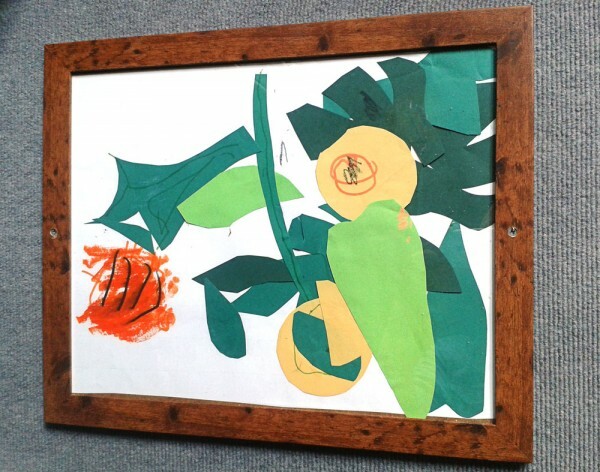 We went along to the nursery with chunky markers, colourful paint sticks, collage material and a large roll of paper and walked out with archetypal jungle kiddo magic! 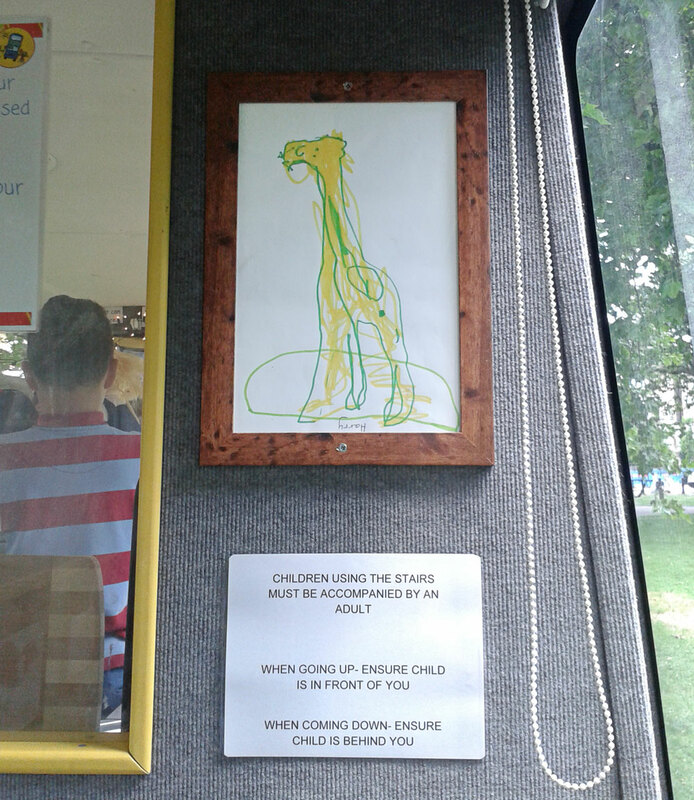 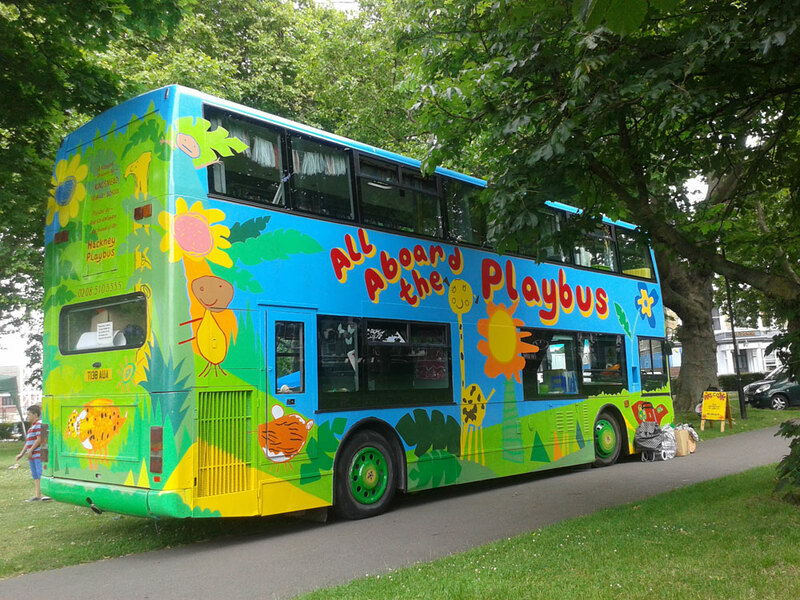 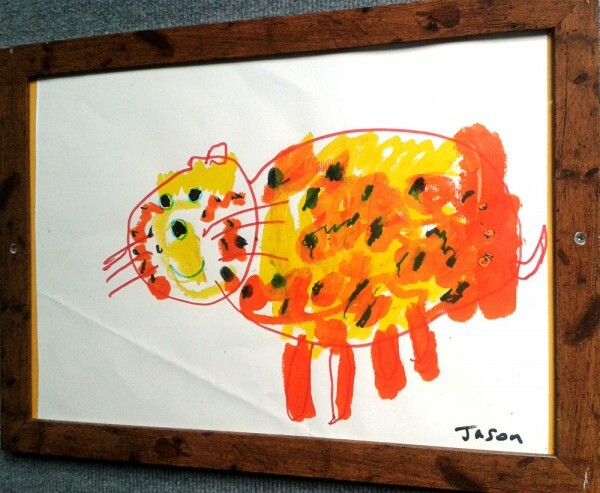 The children drew lions, tigers, snakes, giraffe, plants, flowers and more which now proudly roam the borough of Hackney on the robust wheels that are – Hackney Playbus. 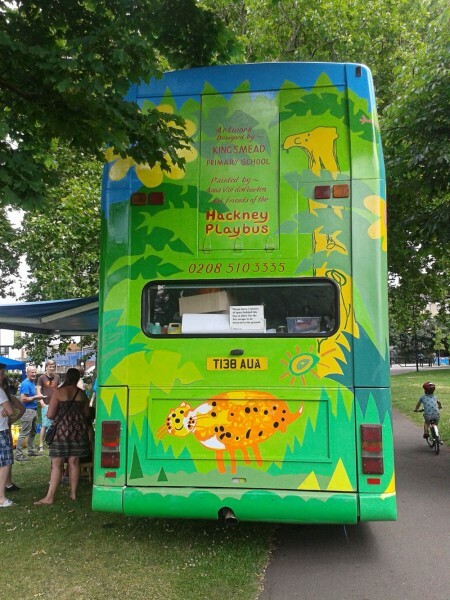 The bus was officially launched to the public on Saturday 17th June in Hackney Downs. 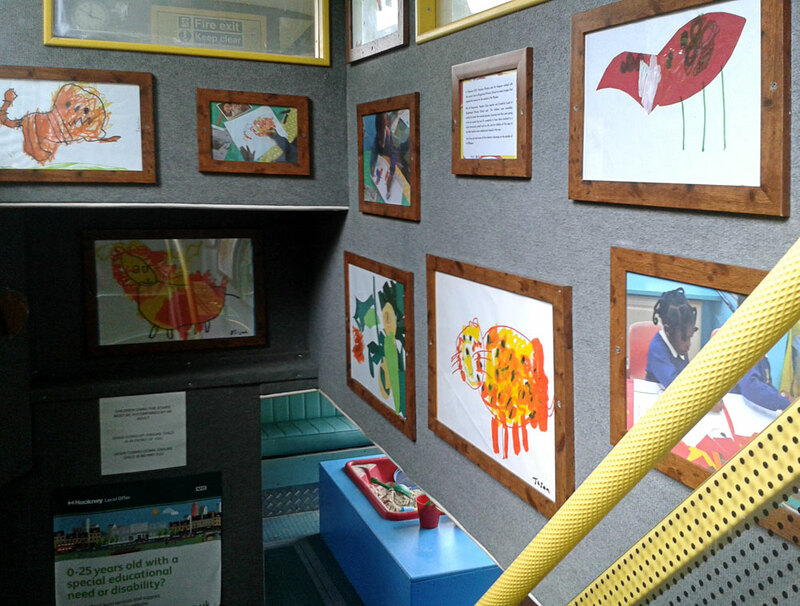 We went along to celebrate and take a look at the finished results in all their glory. 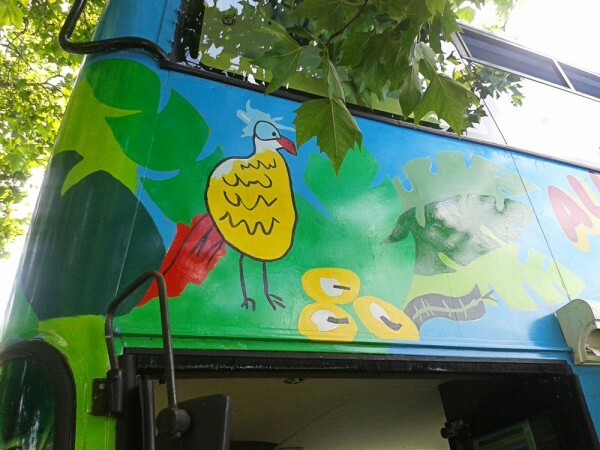 Anna and team made a beautiful job of the paint work keeping true to the childrens’ illustrations. 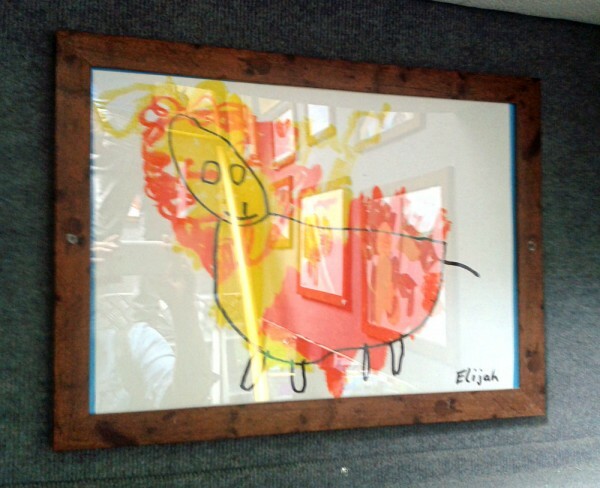 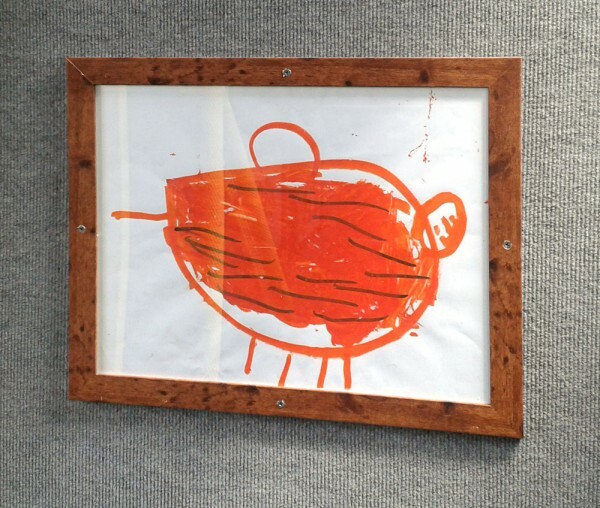 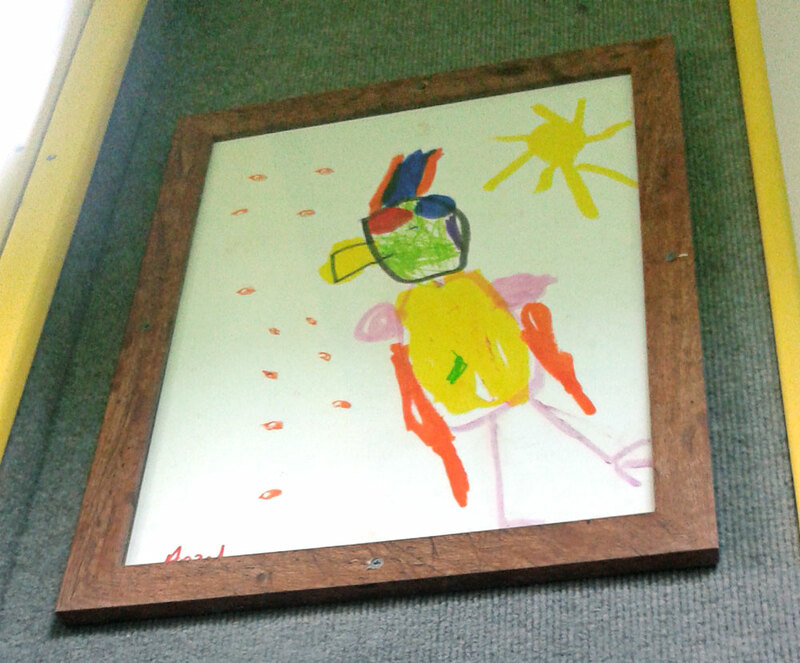 Inside the bus, on the walls of the staircase, you can find a small gallery of framed drawings – The original artworks along with a lovely quote by the Nursery Manager Ben. If you get a chance, do visit Hackney Playbus on their rounds. 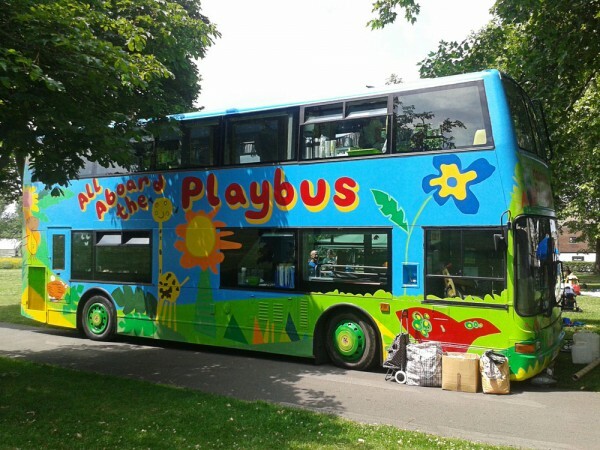 They offer a fantastic service with wonderful resources for local families. 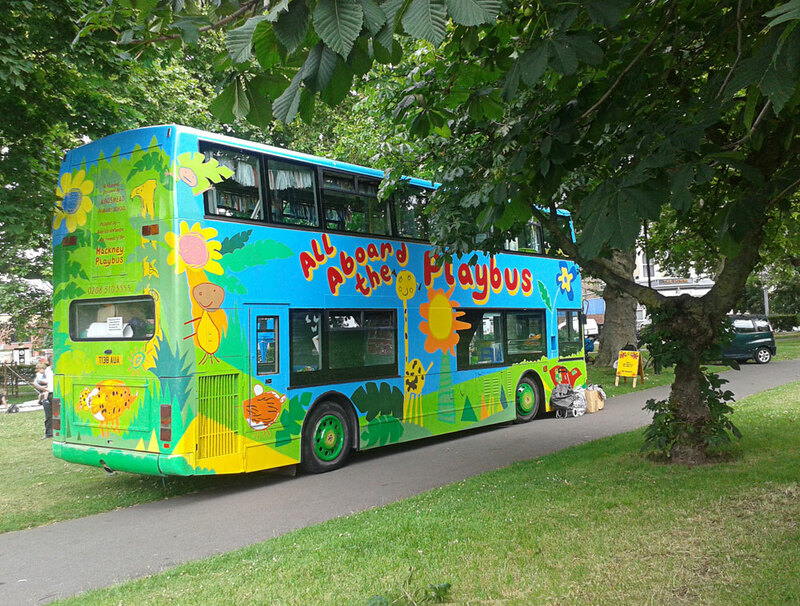 There’s nothing more jolly than a colourful bus showcasing children’s art around the streets of Hackney to bring on a happy smile. THANK YOU Hackney Playbus for inviting us to participate in this exciting project!